The highly excited valence electron of an alkali Rydberg atom ranges over incredible distances relative to typical atomic scales. In the cold, dense environment of a Bose-Einstein Condensate this electron can interact with one, two, or many other atoms. This leads to the formation of ultra-long- range Rydberg molecules, which are weakly bound states with dipole moments exceeding those of traditional molecules by several orders of magnitude. In this talk I will discuss the theory of Rydberg molecules and highlight some recent experimental observations of these exotic creatures, and discuss several recent efforts to extend the theory to atoms with two valence electrons and to polyatomic systems. I will conclude with some enthusiastic speculation about how the the long-range anisotropic interactions between Rydberg molecules could explore many-body physics. Caitlin Talyor (’12) has earned her PhD in Materials Science & Engineering from the University of Tennessee, Knoxville! She is now working at Sandia National Laboratories, in the ion beam laboratory in Albuquerque. In the ion beam lab, I am using in-situ TEM to study the effects of radiation damage on materials being considered for nuclear applications. We can irradiate TEM samples with various heavy ion beams (e.g. Au, typically ~2 MeV range for in-situ experiments, used to simulate neutron irradiation damage, for example) and gas (e.g. He, typically keV range) beams and take videos during the irradiation to study damage evolution as a function of time/damage dose/gas concentration. Jacob Verschueren was recognized as one of this year’s Teachers of Promise. The Teachers of Promise award is sponsored by the Network of Michigan Educators and two students from each participating college receive the award. The Elevating and Celebrating Effective Teaching and Teachers (ECET2) Michigan conference, where the award was presented, is co-sponsored by the Gates Foundation, the State Superintendent’s Office, and the National Board for Professional Teaching Standards. Jake is a physics major who will be graduating in May 2016. 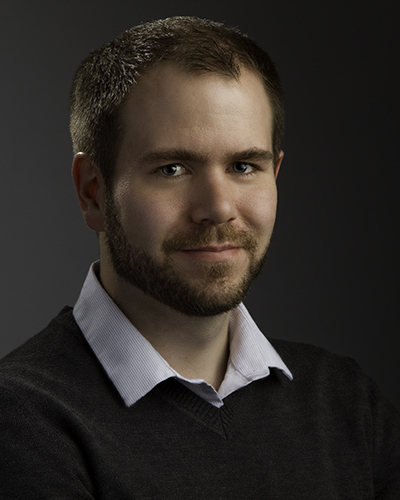 Chris Hall has successfully defended his PhD dissertation “Study of Collective Beam Effects in Energy Recovery Linac Driven Free-Electron Lasers” at Colorado State University. Dr. Hall is now beginning a new job at RadiaSoft, in Boulder, CO. The company does particle accelerator R&D and software development.